The leading housebuilder has received planning approval which will see it launch three further developments in the North East during 2016, creating a range of high quality new homes in North Tyneside, Sunderland and Darlington. Heritage Green off Hotspur North in Backworth will comprise of a total of 150 three, four and five-bedroom homes which will be built over the next five years, with work having commenced on site earlier this month. Work at Scholars Gate, Miller Homes’ first development in Sunderland since 2009 which is located on the former Sunderland College site in Shiney Row, is due to start in early 2016 and will create 128 two, three, four and five-bedroom homes over the next four years. The housebuilder will also make a return to Darlington this summer as it prepares to launch a further new development for 2016 in Middleton St George, which will see 67 new homes built by 2020. In addition to the launch of its three new sites in the region, which will see an initial 50 homes built in 2016, Miller Homes will build a further 250 new homes at its existing eight North East developments throughout the year. 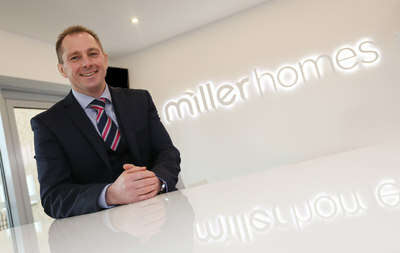 Patrick Arkle, Miller Homes North East’s operations director, said: “Work has been going on behind the scenes for a number of months to bring these new developments to fruition and with our commitment to creating quality new homes that are built to the highest standards in desirable locations, we are confident they will provide much-needed homes within the North East. “This investment clearly demonstrates our pledge to house building and confidence that the market is continuing to show steady signs of growth, which has been helped by initiatives such as the Government-backed Help to Buy scheme and introduction of the Help to Buy ISA. Miller Homes currently has developments located across the North East of England, all of which cater for a wide range of buyers, including Wheatfields in Seaton Delaval, The Acres in Bedlington and Portland Wynd in Blyth, Park View in Gateshead, The Meadows in Framwellgate Moor, Clairville Grange in Middlesbrough, Acklam Woods in Acklam and Wheatlands Chase in Redcar. For more information on Miller Homes or to register for regular updates on Heritage Green in Backworth and Scholars Gate in Sunderland, visit millerhomes.co.uk/locations/north-east-of-england.